Green Valley may well be the ultimate destination for active adults to thrive. The community is almost entirely targeted to those 55 and older and includes unparalleled recreation opportunities: 13 busy recreation centers, seven golf courses and miles of hiking and biking to name a few. Facing the majestic Santa Rita Mountains 20 miles south of Tucson, Green Valley offers many housing options, from townhomes and condos to single-family homes, both new and existing homes that have been developed by many local, national, and semi-custom home-builders. Green Valley attracts homebuyers from all over North America, Europe and Asia, drawn by its peaceful atmosphere, abundant recreational opportunities and an average 300 days of sunshine. Perhaps the biggest attraction is Green Valley Recreation Inc. The recreation provider has more than 13,000 households as members. 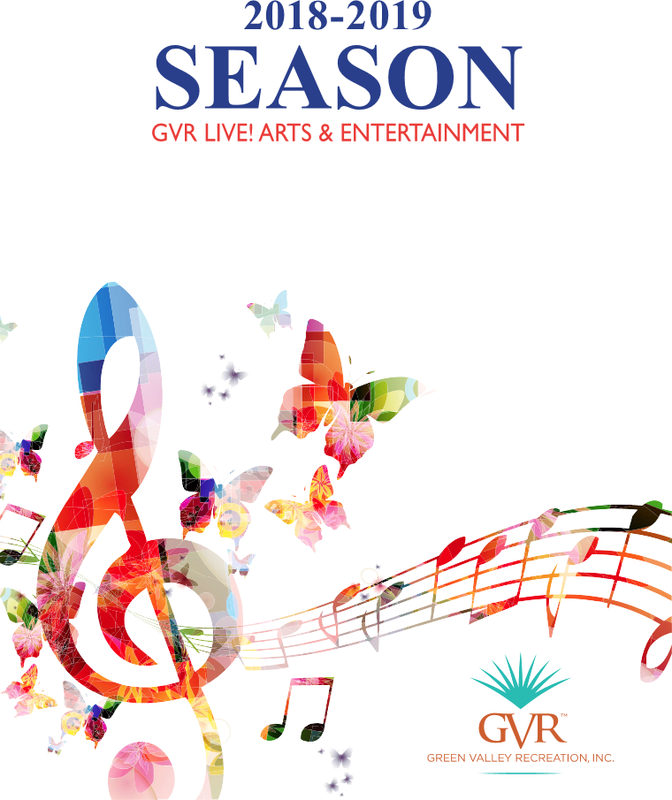 GVR completely redefines the term ‘Retirement Community’ by offering so much to do that its activity brochure reads like a college course catalog. Sure, there are the social clubs and card clubs, but athletes also line up for pickleball, tennis, swimming, biking and hiking. Members also sign up for woodworking, lapidary, dance, aerobics, yoga and other activities. While most retirement communities are limited to one clubhouse - GVR’s 13 clubhouses and fitness centers are open to all members, as are all the specialty shops and pools. Though home buyers come from all over, they have formed a unique sense of community, bonding together through the world-class facilities and clubs maintained by Green Valley Recreation, Inc., by diverse social and entertainment opportunities, and in volunteering their talents and energy with numerous service, civic and charitable organizations. And while there is the Alaska Club, the Green Bay Packers Club and other organizations focused on hometowns and teams. Residents can also serve on the boards of Home Owners Associations for one of the 100 plus different communities in Green Valley. Green Valley is within easy reach of Tucson’s shopping to the north and the artists’ enclave of Tubac to the south, both along Interstate 19. To the east is Madera Canyon within the Coronado National Forest, which attracts bird-watchers from around the world, as well local hikers and campers. Just to the north beyond a shopping area, is Sahuarita, an all-ages community. Sahuarita has a small lake that is stocked monthly by Arizona Fish and Game and offers miles of trails, tree lined streets and the continuation of the historical De Anza Trail. 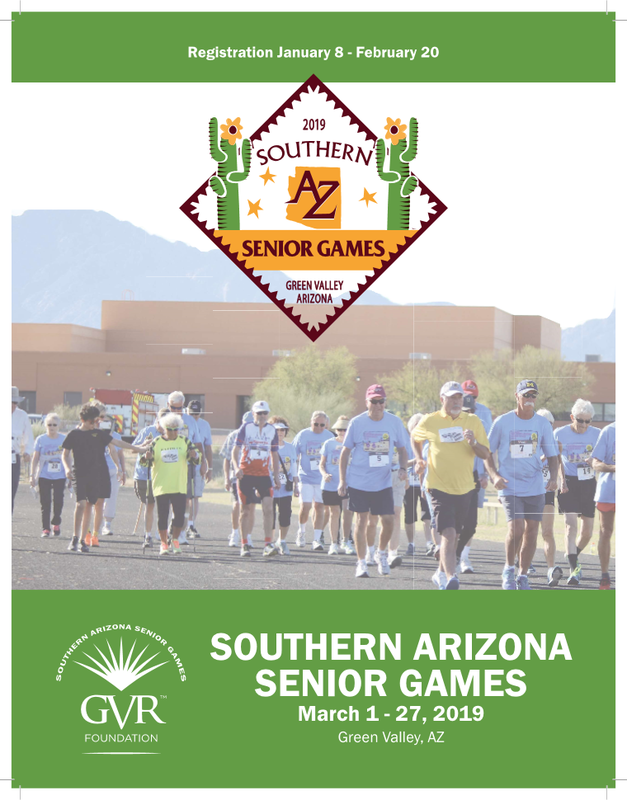 For 35 years the Annual Senior Games has been host to over 30 events and activities all aimed towards active adults. Events include but are not limited to swimming, biking, run/walk, pickleball, basketball, golf, chess, billiards, shuffleboard, water and sand volleyball, raquetball and so much more! The Senior Games is open to all those over the age of 50 years old. Is GVR an HOA (Home Owners Association)? No. GVR (Green Valley Recreation) is a private recreation provider for the majority of Green Valley Arizona. The GVR fees are sole and separate from any HOA fees. 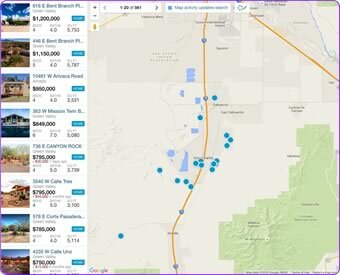 So with an average monthly HOA fee in Green Valley of $40 per month and the GVR fee (divided by twelve months) the average combined monthly fees are approximately $80 per month. No. Please see the answer above for an explanation and break down of fees. 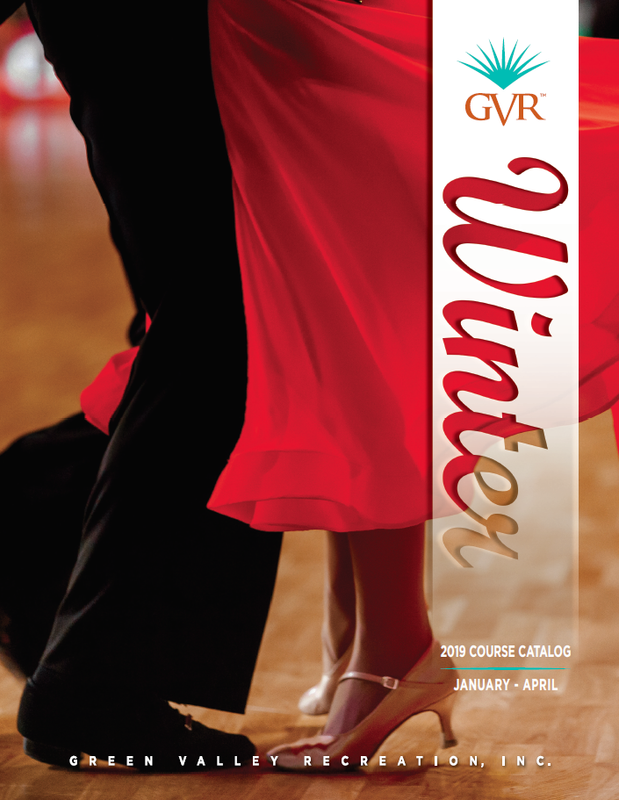 One of the many ways that GVR keeps costs down is by not including a golf membership for every member. There is still ample local golf available via Green Valley's 7 golf courses and 43 golf courses in the region. 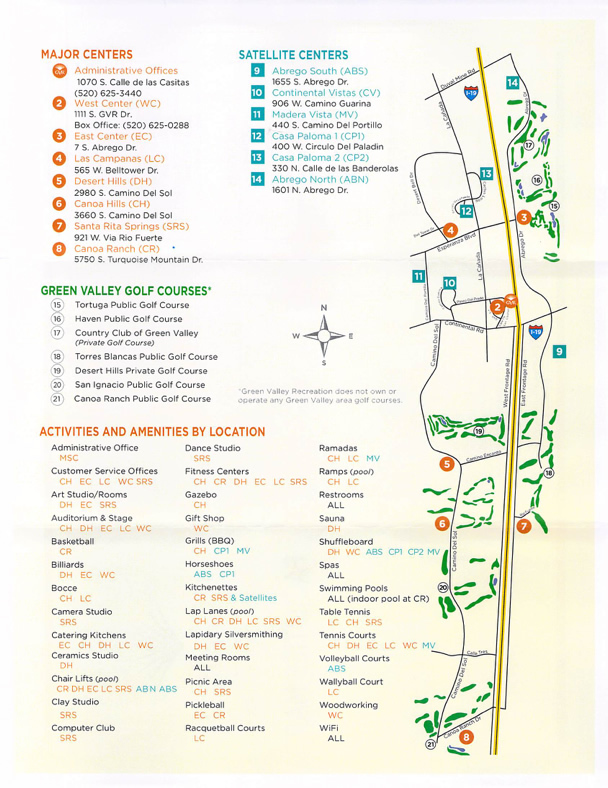 To learn more about Golf in the Green Valley area please visit our Green Valley Golf Course Information page.